I'm guessing this will take Brazil's slot on the calendar. 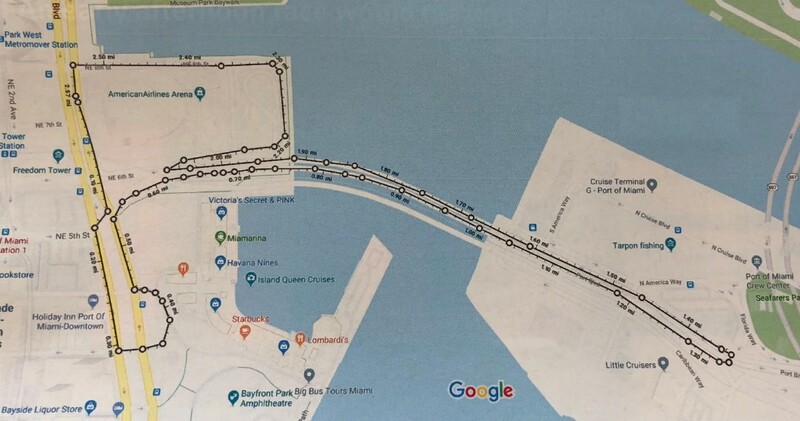 Looks like the formula for a F1 track going forward is a street track with an ultra long straight. So we'll have street tracks in Melbourne, Monaco, Baku, Singapore, Russia & Hanoi and if the rumours are true, Baku will be replaced with Miami, another street track. I don't know about you lot but i'm getting kinda street tracked out. At least it'll be another race in my time zone so I shouldn't say too much I suppose. The circuit looks okay, but like all these tracks it will depend on the quality of the track surface. My main issue is that the main point of having a street circuit is to be in an iconic location whereas this appears to be on the outskirts of the city. The long straights should give opportunities for overtaking which is a good thing. All these capitalistic, money-grubbing races in communist countries where the fans (if there are any) can barely afford shoes (all made in the same tractor factory).... just puzzles me. Just because a wealthy real estate baron (how is that possible in a collective society?) wants a GP does not make it a going proposition for long. Can't wait to buy my tickets... to Monaco, instead. At least my wife can troll the haute couture shops there, vs taking a fun-filled, propaganda-laced tour of the "Hanoi Hilton" Museum. Hold on to your purse, dear. What is Liberty Media thinking, seriously? Taking Brazil's slot, REALLY? How many Asian races have to come and go before they get the hint? Malaysia had a decent run, but remember Korea? I assume you've never been to Vietnam? I also assume you've never been anywhere near Barcelona? A place well-known for it's pickpockets. Brazil has serious robberies every year - often against the teams themselves. The inference that Hanoi is somehow less safe than other locations currently on the calendar winds me up a bit. Hanoi is also within spitting distance of China, the Chinese GP has had its financial troubles, but it's been going for 15 years now and doesn't seem to be going anywhere. It's not far from Macau - which has a wealth of motorsport history. Who the hell in their right mind wants another street circuit added to the calender, overtaking is hard enough let alone adding another pointless track. Yes I have, and not in a memorable way. Indeed, Interlagos is surrounded by indigent favalas and crime is rampant. Perhaps the pickpockets in Hanoi will be more courteous and less aggressive? Point is that the F1 Circus has no business rubbing the noses of the local needy in its billion dollar excesses in which the local poverty will never share or participate. Chase Carey said that among the future F1 drivers, hopefully one of them is from Vietnam (perhaps to justify his decision of taking F1 to Vietnam). Who woulda thunk the people who are against this race for political reasons are Americans. If Liberty Media can't get an American driver into F1 despite it's rich abundance of drivers, what's the odds of getting a Vietnamese driver into F1 bearing in mind I believe currently they have no professional drivers? Not without merit from the looks of things. Looks interesting. Will have to wait till 2020 to find out if it's a decent race track. let us hope the new aero rules provide the close Racing this track will need. There's a way of increasing the excitement, let the cows wander across the track like they are doing in this video (I'm joking). Have to admit that fast flowing section looks really nice. Also that reaaaalllyy long straight into the tight hairpin is going to almost guarantee action. First part of the track looks a bit boring. Long finger out and back looks a bit like the proposed layout for the Miami GP. Digital onboard, looks like it will be a good track for overtaking. None of the virtual videos seem to get how wide many parts of the track really are. Assuming street circuit, they have made everything narrow. In reality the straights and many turns that approach the straights and follow it was very wide public streets. Frankly I cant find much wrong with the circuit layout itself. Its gonna be nuts like Baku, little less crazy, but still little crazy. As far as usual moans about F1 going to new tracks, boohooo. Get over it. Even if its for just few years. I have no problems with F1 going new places. Historic tracks are nice and all, but not all historic tracks are great and I love watching new tracks. Baku is my absolute favourite track on calendar right now. These asian races also mean there is possibility that I might be able to go watch it in person. Hanoi track will be 3.458 miles long. Compare it to the Hockenheimring (4.25 Mi.) from 1965-2001. Both have some long straights with hard braking zones for overtaking. The esses in Hanoi look to be more interesting than the stadium section of Hockenheim. Of course Hanoi will be a concrete canyon where Hockenheim was mostly not. I just thought the comparison was interesting. Last edited by Mort Canard on Sat Apr 20, 2019 11:10 pm, edited 1 time in total. Hanoi track will be 3.458 miles long. 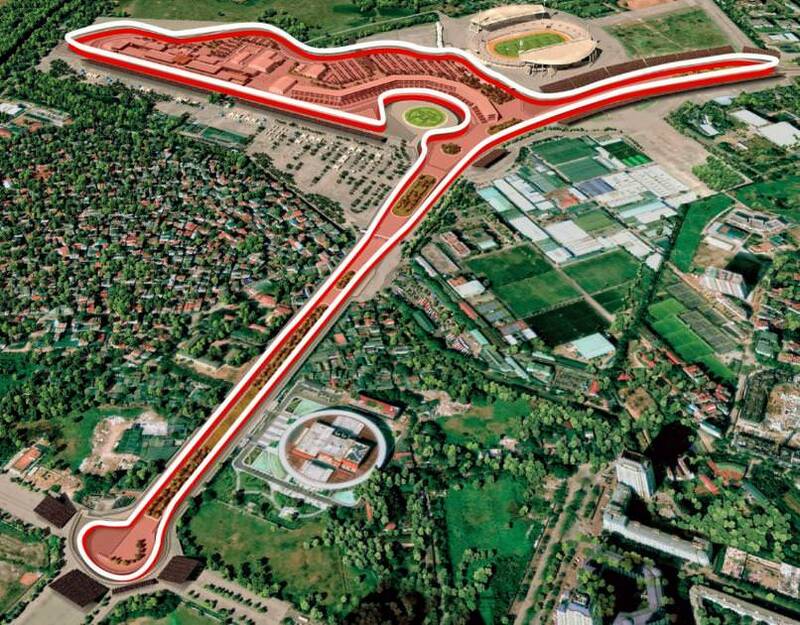 Compare it to the Hockenheimring from 1965-2001. 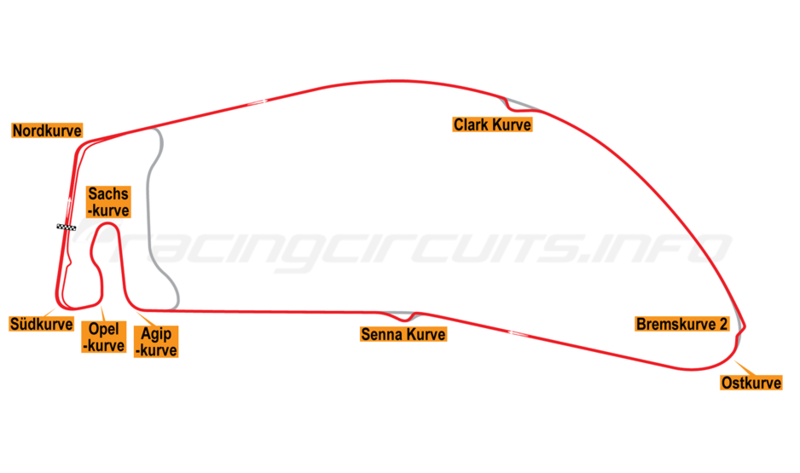 In all honesty, that was one of the most boring circuit designs we've ever had in F1. Well a lot of folks really miss it. It was a very high horsepower track. I generally dislike street courses, but will remain cautiously optimistic and hope they can get it right. If it is another crappy processional track I will be disappointed. I'm with you there mcdo. Loved the old circuit because, like Monaco, it provided a different challenge. Ultra high speeds out in the forest. Like Spa it was big enough so sometimes it'd be raining heavily on one part the track & bone dry on another. And for those thinking that fuel & tyre conservation in F1 are relatively new notions, see exhibit A. Noticed Herman Tilke's name down as the designer. After the onslaught of the Asian "Tilke Dromes" in the early part of the new millennium, & seeing as how he also designed the Baku track, plus I wouldn't mind betting the Miami design is his doing as well, I have to wonder if old Herman is only capable of 1 basic design concept every decade or so. I wouldn't blame Tilke for that necessarily. It's the natural end point of putting the burden of producing good racing on the track. Obviously if you do that all tracks will end up looking similar and none will flow. Fast, big stop, fast big stop etc. Oh and throw in an esses section we are all told we like so much. Another night race after Singapore? Since the average Joe in So.Cal can never hope to own a home, their goals and aspirations have shifted... to owning a nice car, instead. A nice, new BMW in LA costs only 10-15% more than the same car in Topeka Kansas, so at least one can dream of owning a car. By extension, the fascination with cars in SE Asia is the same. Watch the video, and you will see that the average, sporty, two-seater in Vietnam is a 30 year-old scooter. At best, one can hope to upgrade someday to one of those nifty, 15-year old, 3-wheel Tuk Tuks. One with a roof is a bonus. So, by all means, take a F1 race to Vietnam. Only jetset foreigners with more money than brains will be seated in the grandstands. The locals will be huddled in huge masses outside a circuit perimeter closed to them. They can even stand on their scooter seats. Slightly built locals might even pay hundreds of Dongs to sit on the roof of a Tuk Tuk, offered by an enterprising owner, just to better hear the drone of the cars on track. There's always a slight hope of glimpsing a blood red Ferrari wizzing by, sheer Nirvanna for the masses who merely daydream about owning any transportation with more than canvas for a door. Rock on Liberty Media. At least you are "bringing racing to the fans." What a shockingly ignorant comment. Perhaps I should post a picture of a trailer park from somewhere in the USA and cite that as evidence that Americans are too poor to host an F1 race. Vietnam is one of the world's fastest growing economies, with a rapidly expanding middle class with disposable income. Meanwhile F1's traditional fan base in Europe is dwindling and a number of countries are struggling economically; Italy and Spain both have 33% youth unemployment and France is doing little better at 20%. The young demographic that motor racing should be appealing to just don't have the cash to spend on F1. Bringing a race to an emerging country of 96 million people with a median age of 30 years (for comparison, Europe's is 42 years and the USA's 38) is a smart move if you ask me and shows much greater long-term vision than CVC had. This isn't a cash grab from a petroleum-rich dictatorship like the UAE or Azerbaijan, Vietnam has a functioning market-based economy and this has the potential to work if they give it a few years for interest to pick up. And yes, having a competent Vietnamese driver on the grid will help enormously if they can find one. I live 16 miles from Texas Motor Speedway. The Motorhome park there is 4-times larger than the speedway itself. and larger than some English towns. It has 60,000 unmarked free parking spots around the track, as well as an additional 20,000 paved ones. Most of these 80,000 spots are reserved for motorhomes. (Drive a car/Trunk/SUV there, and you pay $25 to park out back.) 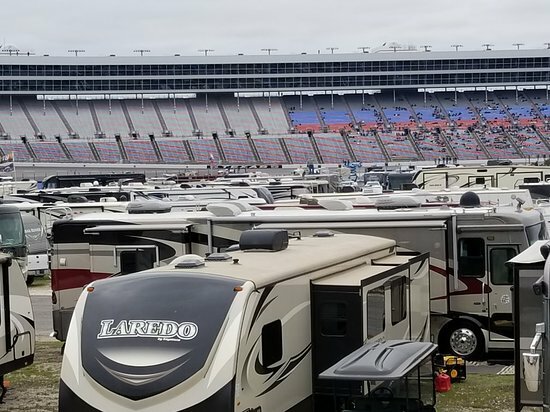 The 45,000 Motorhomes parked there for each NASCAR race cost from (a well-used) $50,000, to more than $400,000, each, and by any standard, these NASCAR fans are a real representation of "Middle Class." This is just the infield motorhome campground. Motorhome park outside the track to the east is 300 tiimes larger..
Oh, and keep the "ignorant comment" to yourself. I'm immune. Last edited by MB-BOB on Mon Apr 22, 2019 8:58 pm, edited 3 times in total. It's hardly ignorant. Most countries have a poverty problem of some scale but in most that host F1 races the locals can actually aspire to own a car. I've been to Hanoi and love Vietnam but I find the idea of a country with such a long way to go in terms of development for normal people paying vast sums of money to host a Grand Prix a bit vulgar. The Motorhome park there is 4-times larger than the speedway itself. and larger than some English towns. It has 60,000 unmarked free parking spots around the track, as well as an additional 20,000 paved ones, reserved for motorhomes. (Drive a car there, and you pay $25 to park out back.) The 45,000 Motorhomes parked there for each NASCAR race cost from (a well-used) $50,000, to more than $400,000, each, and are a real representatin of "Middle Class." Things like this remind me of just how different other parts of our country can be. Here in Michigan, I can pretty much guarantee you that no member of the middle class is going to own a $400,000 motorhome - they'd have a nice house (3000+ square feet) for that amount. I didn't suggest that these expensive motorhomes were paid for. These are principle residences for some. And the last time I was at Michigan Int'l Speedway, I saw at least half as many motorcoaches on vast lots all around the speedway. When TMS was built, NASCAR was at it's popularity peak, so TMS bought plenty of extra Real Estate out in the boonies. When the NASCAR crowd visits TMS, I avoid the Interstate that runs by, and a full 10-mile radius. It's a zoo the week before through the week after. Back on topic...No such parking available around most F1 street courses, regardless if there is an audience that wants/can afford to attend. Last edited by MB-BOB on Mon Apr 22, 2019 9:14 pm, edited 2 times in total. I don't deny that Vietnam does still have a long way to go, but I think a failure to recognise the potential of the event does reek of ignorance. Vietnam is growing economically, and hosting an international sporting event that is going to bring outside investment into the country can only help to further that progress. It's a gamble for sure, as it does rely on the country's current economic trajectory continuing as it is in the short term, but if it pays off it will work out well for both parties. I think it's unfair to lump this race in with the likes of Baku and Bahrain as a vanity project for a corrupt leadership that will never pay for itself, politically and economically Vietnam operates very differently. The closest comparison I can think of is the Indian GP, which financially was well out of the reach of many of the people living nearby but still attracted a good crowd and would have succeeded as an event had it not been brought down by local bureaucracy. If Vietnam were to double it's economy, it would still rank behind Thailand (#26). Vietnam would have to increase its GDP 700% to fall just behind S. Korea (and its failed GP). IMO, the sources in this link offer about 70%-90% of the information you need to know. Of course, some will say the World Bank, the Int'l Monetary Fund and the United Nations sources cited are "ignorant" too. To be fair, South Korea ranks ahead of eight countries with currently successful GPs, and it didn't fail because of a lack of money in the country. It failed because of a lousy location.